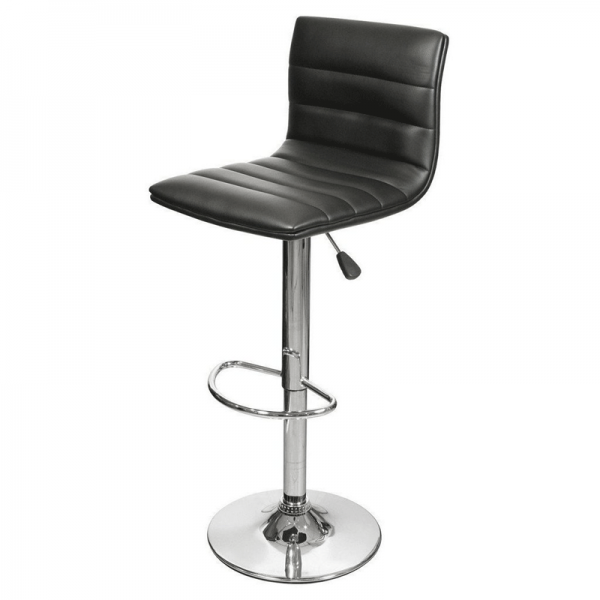 This modern black bar stool is both stylish and contemporary in its looks. Inspired by the iconic Eames ribbed office chair, this bar stool is also height adjustable and features 360 degree swivel functionality. If it's designer style you're looking for, then the Ribble bar stool in black makes a great choice, though you could try mixing up your colour choice as we also have the Ribble bar stool in white available to hire.